The magnificent forts around Maharashtra have been a matter of pride for the state for centuries. Sadly enough, the preservation and restoration of these structures are not taken in to account seriously. 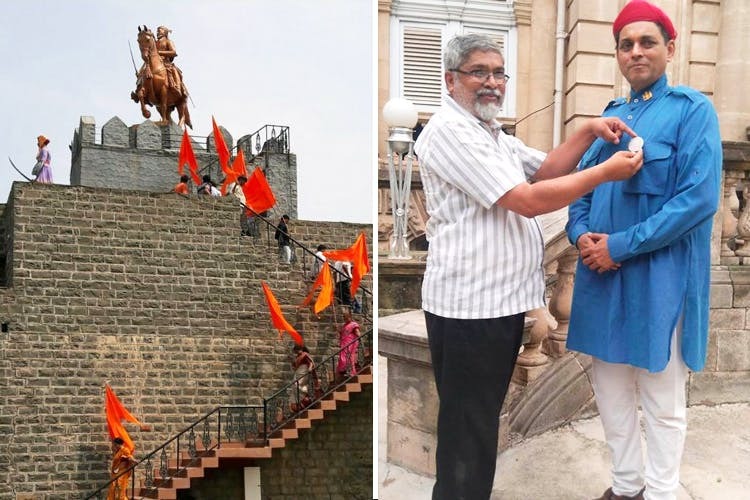 Shivaji Trails, a Pune-based NGO, has been working vigorously towards fort restoration since 1997. Brainchild of Milind Kshirsagar, a physical education instructor at Loyola School, Shivaji Trail does not only focus on fort restoration. The team also caters to areas such as sustenance of the villages around the fort, preservation of valuable herbs growing in the forts, water conservation and more. There are about seven projects that have been undertaken by the group over the years – Vrukshavalli, Vishwakarma, History Club, restoration, project saffron, vaidyakiya seva and subha. Every project has a certain mission. For instance, vrukshavalli aims at documenting the flora and fauna around the forts, ensure a holistic preservation, develop nurseries for re-growth of unique plants and biodiversity parks for species that are on the verge of extinction. Project vishwakarma includes restoration of forts with the optimum utilisation of the surrounding geological factors. Extensive lplanning goes behind this and includes factors like water restoration and rainwater harvesting inside the forts. Another initiative, Vaidyakiya Seva, by Shivaji Trail aims at providing medical facilities to the villagers who reside around the fort area. They also arrange for medical checkup camps from time to time. The idea is to make the villagers healthy, educate them about forts and channel them in to the workforce. If you love Maratha architecture and want to do your bit to preserve it for generations to come, we recommend you join Shivaji Trail. It’s a non-profit organisation and there is no registration fee for your participation. Do it out of good will. For details, get in touch with Milind and don;t forget to follow Shivaji Trail on Facebook. For details, get in touch with Milind and don;t forget to follow Shivaji Trail on FB.